The Fulbright Program in Russia | Fulbright Summer School "Nanotechnology and nanomaterials"
Fulbright Summer School "Nanotechnology and nanomaterials"
On June 7-21 Kazan National Research Technological University (KNITU) hosted the all-Russian Fulbright summer school in science and technology “Nanotechnology and nanomaterials” for the fourth time. This year 23 students from 12 cities of Russia (St. Petersburg, Troitsk, Yakutsk, Ulan-Ude, Novosibirsk, Rostov-on-Don, Taganrog, Tambov, Kazan) participated in the School. In addition to the participants from all over Russia, from Saint Petersburg to Ulan-Ude, professors from other countries also attended the School. The opening ceremony of the School took place on the 8th of June. Participants were welcomed by the Head of International Department Dr. Julia Ziyatdinova and Vice-rector on Economics and innovations Dr. Alyayev. Dr. Alyayev mentioned, that as the university has broad and successful experience in teaching and conducting research in wide spectrum of sciences and chemical technology, KNITU was selected for conducting the School upon results of an open competition. Furthermore, the Republic of Tatarstan occupies the first place among Russian regions in fundraising, and Kazan is famous worldwide for its chemical school. Director of the Fulbright program in Russia Dr. Joel Ericson held a speech at the School opening. He explained the choice of topic of the School, told about Fulbright program history, and achievements of alumni. One of the Summer School organizers, Artem Bezrukov, Head of the Protocol Department of KNITU, associate Professor of physical and colloidal chemistry, Fulbright alumnus (RIEA 2012), told the School participants and guests about the university and its’ educational programs, international networks and introduced the lecturers. Another Fulbright alumnus took part in the School: Stefani Rives, who spent a year at KNITU teaching English, and Maria Kharina, who has just returned from the USA, where she was teaching Russian at a college for ten months. 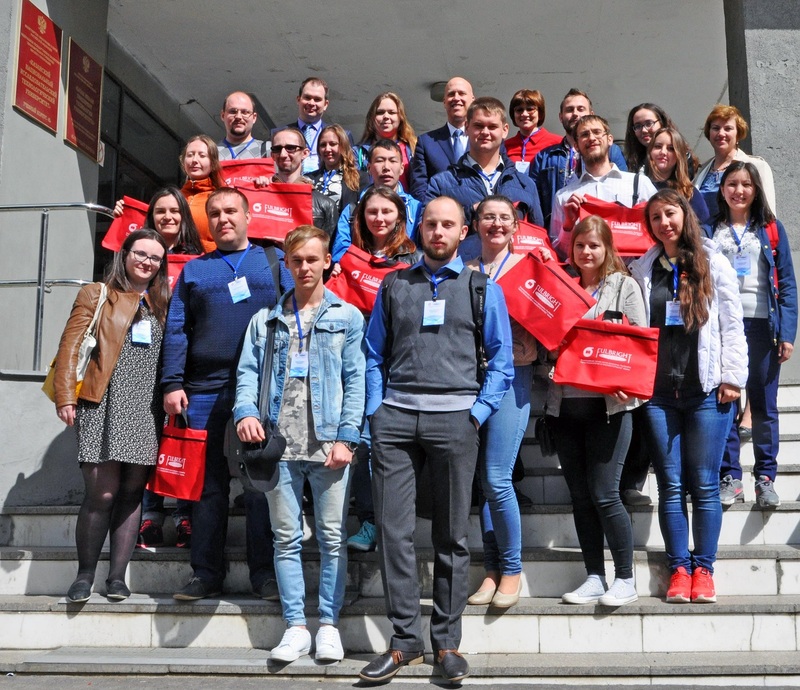 The key goals of the Kazan Summer School were personal and professional networking, developing of creative and organizational skills, stimulation of academic exchange The School program included lectures conducted by KNITU professors, laboratory workshops, guided tours of Kazan, Sviyazhesk and Bulgar. Besides the wide range of specific themes, the topic of commercializing of innovative projects in Nano technological area was also included in the program. The special guest - professor of Oxford University, member of the Royal society of chemistry, honorary doctor of KNRTU Peter Atkins delivered a lecture. So, the students got a unique opportunity to listen to the lecture in English. 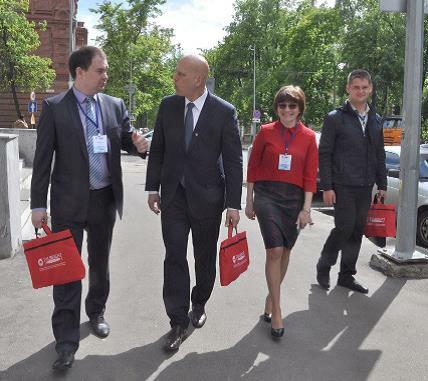 In addition, the participants visited Innovative-production Technopark “Idea”, where they learned about the history, activities and infrastructure of the Technopark. The School participants were especially interested in the Centre of Nano technology of Tatarsan Republic. They also visited laboratory and manufacturing complex “Nanofarm development” in “Khimgrad” Technopolis and KNITU Technopark.